Our apartment is available and ready for short-term rentals over the holidays and into 2017. Rates & availability details below. Please use the form on this page to contact us for more information. Cheers! 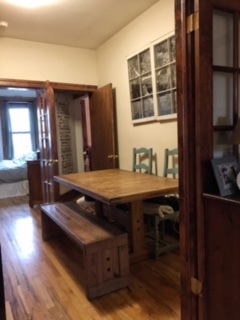 Location: Center of historic Park Slope and artsy Gowanus Brooklyn neighborhoods! Kitchen: The kitchen is equipped with fridge, stove, toaster oven, soad stream, coffee maker, slow cooker, as well as oil, salt and pepper, coffee, tea bags and soaps/utensils/plates/pots and pans to get you started. Amenities: Wifi, Apple TV, Cable, Storage (dresser, closet with hangers), Laundromat next door. Apartment Policies: Non-smoking, No shoes inside apartment. 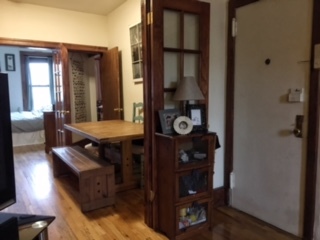 This is a third floor walk-up apartment. There are only 2 other apartments. It is a quiet, private building. 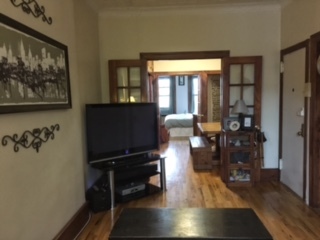 Walking Distance to: Prospect Park, Barclays Center, Brooklyn Academy of Music, Brooklyn Museum, Bikram Yoga, amazing restaurants, incredible music venues, Brooklyn Boulders Rock Climbing and so much more! We are happy to share recommendations based on your interests! Please use the contact form to ask questions and/or let us know if you are interested in swapping apartments. Cheers to exploring in 2017!